By stars I mean celebrities we all love. I got out of Jurassic World feeling, well, definitely not satisfied. I honestly could say that I got more in Godzilla. And that was a pretty amusing statement. The movie is full of stars. Stars that I love, so I was very much excited when I got into the theater. I was very upset that they had killed off my beloved Katie McGrath in a horrible, horrible, painful death. I was even more upset knowing that she did not have enough screen time. So the story is about two brothers, one going through some extremely flirty puberty, and one going through some – honestly, I am not sure. 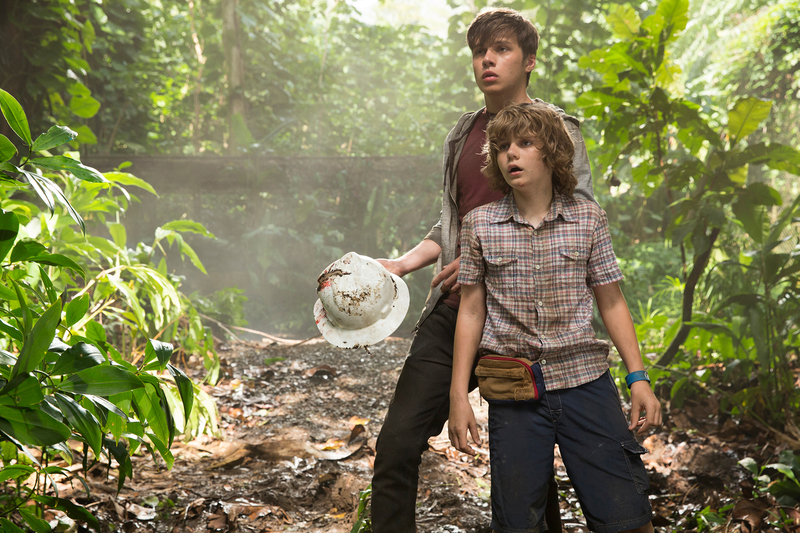 They went off to visit Jurassic World, a theme park so deadly I wonder why it was still operating. The park was managed by their aunt, Claire, and the kids were hoping to spend some good quality time with their workaholic aunt. The story was pretty cliche, and we all could predict almost everything. The characters had their own personal problems, which never got solved, really. It was interesting why they were even presented in the movie. Was it to create a “this is a real person” feel in a character? 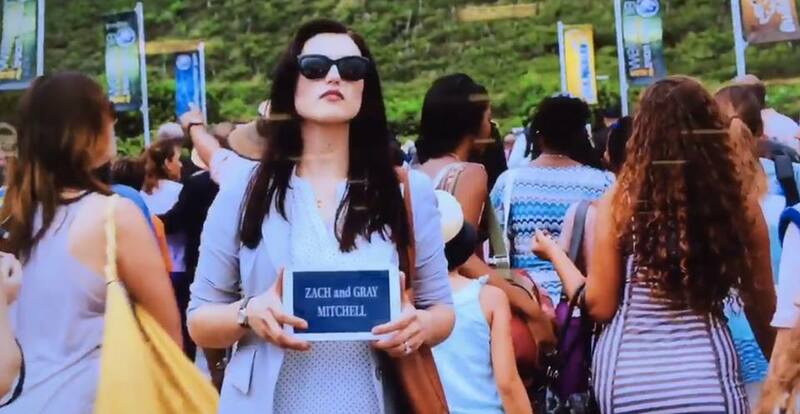 My girl Katie McGrath, playing Zara the assistant, was supposed to get married in the movie. But then she died, in the most tragic way possible. The only thing that kept me from not leaving the theater was knowing that Katie McGrath must have had a lot of fun shooting her death scene. Also, Omar Sy! I was too excited when I saw him on screen. Omar Sy! 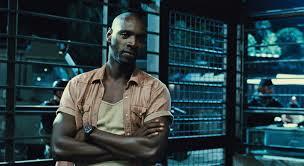 Omar Sy in Jurassic World! And guess what people, he didn’t die! 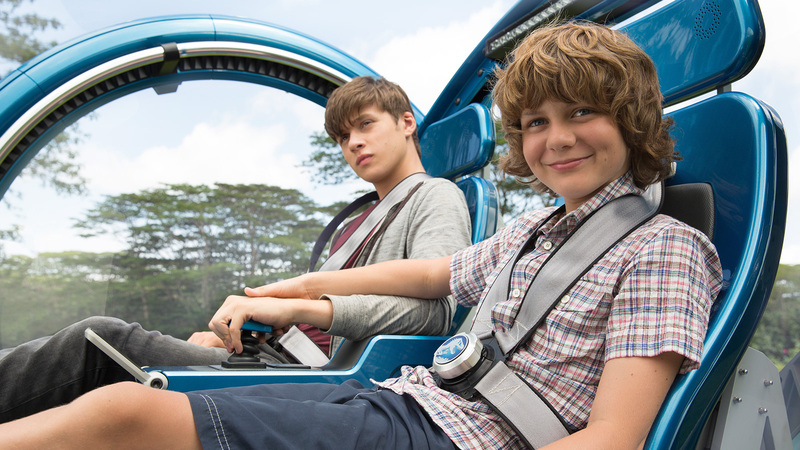 Okay, so the two brothers, Zach and Gray, were bonding at the Jurassic World park. Zach was busy staring at girls most of the time and Gray was crying over their parents’ upcoming divorce. Thankfully, they had to stop the staring and crying when the Indominus Rex (I’d be damned to spell it incorrectly) escaped and nearly killed them. 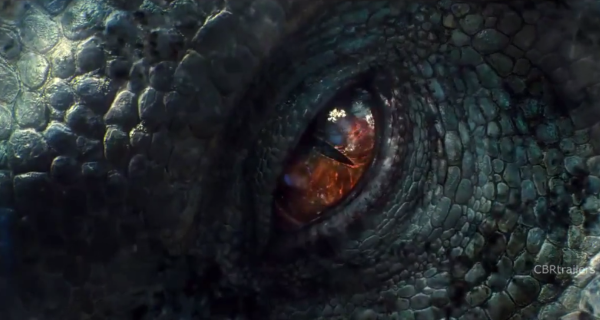 The Indominus Rex was a hybrid of many animals, and it was highly intelligent. Not only was it huge, but it was also deceptive. It was in captive all its life, and it learned its place in the food chain as fast as, well, I lost count on how many people died in this movie. So it escaped and roamed free towards the park that was crowded by around 20 thousand people. 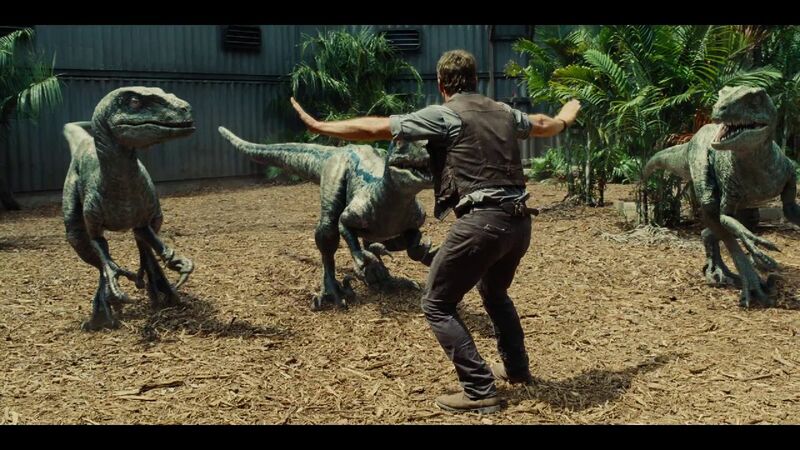 This mad Indominus escape obviously reunited two people who suffered from an awkward first date, Owen the Velociraptors alpha and the boys’ aunt Claire. And it also knocked some senses into Claire’s workaholic head that her nephews were actually important. So Owen and Claire started looking for the boys. Meanwhile, the main office was struggling in trying to hunt down Indominus to kill it. Because again, this hybrid was very smart and it could camouflage. Long story short, the Indominus started attacking other dinosaurs and a lot of the animals escaped, injuring a lot of people on their way out. 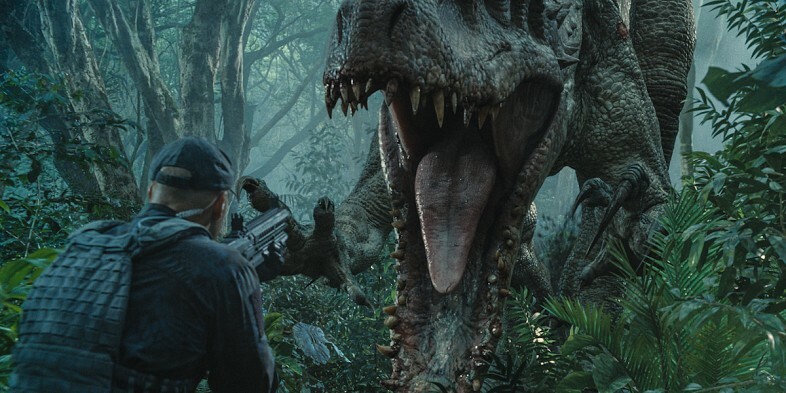 The theme park turned to chaos, and they decided to use Velociraptors to hunt down the Indominus. Velociraptors were the mini dinosaurs that were really fast. To me, they are like hyenas. And Owen happened to be their alpha, or like their daddy figure. He imprinted on the raptors when they just hatched, so they obeyed him, mostly. Oh, and Omar Sy was the other parent figure to these raptors. Omar Sy je t’aime tellement!!! So Owen, Omar Sy, and the raptors started the hunt. However, when the raptors met Indominus, they started talking. It was then a painful realization to the humans, that the Indominus was part raptor. Meaning, that Indominus could actually replace Owen in his alpha role. So the raptors turned around and started attacking the humans instead. 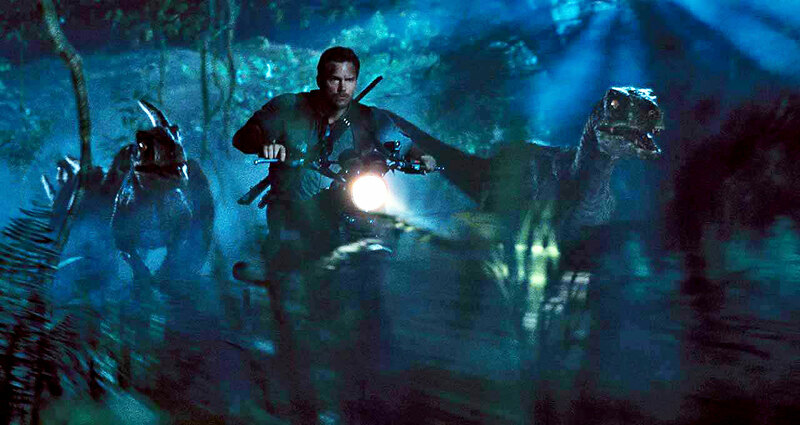 But, as we all expected, when Claire, the boys, and Owen found themselves surrounded by the raptors, they did not die. Because when the raptors realized they were facing their daddy, they decided to side with their human alpha again. It was too easy I did not have to think. And afterwards, the movie just went towards the end really fast. We got to witness the one on one battle between the T-Rex and Indominus, and that was cool. But it was so cliche that it was sad. You could even guess who would die and who would not from the very beginning and chances are, you would guess correctly. I have stopped expecting so much from movies lately, so I was not that disappointed. I had expected Jurassic World to give me this feel. However, it was really nice to see a lot of my favorite actors in this movie. I loved the many stars of some of my favorite TV shows in this movie. It was so nice seeing them all together on a big screen. But that was it for me. That was all the magic there was. There was not even any thrill or anything when Indominus was supposed to be scary. It was predictable, beyond expected. 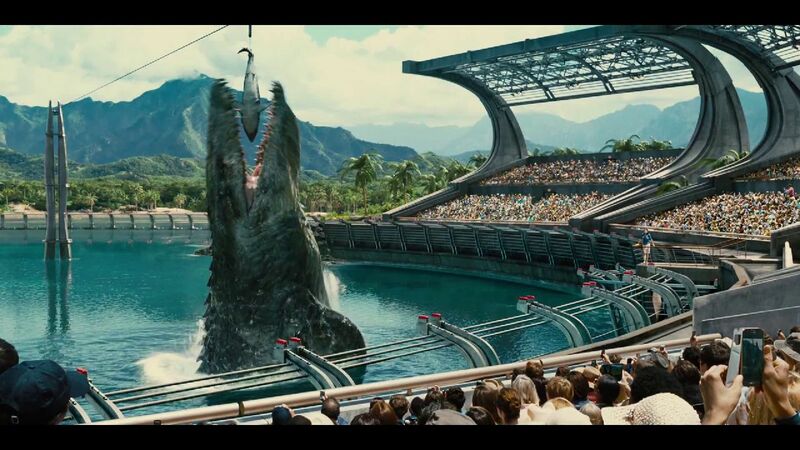 So points for Jurassic World for scoring big stars in the movie. For me, they were the ones saving this deadly theme park.